Among long-running sports-car names one of the most respected is the venerable Nissan 370Z. True to the first Z-car, the 370Z for 2015 offers room for only two passengers, is propelled by its rear wheels and delivers a driving experience befitting its racy good looks. 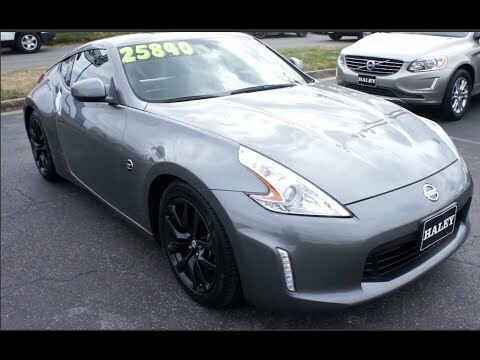 An excellent reputation for reliability and strong resale don't hurt the Z's prospects, either. The sheik look of my 370z! I love my car. Purchased it new. Traveled 300 miles to pick it up. I do it again. Beautiful black with black rims. Persimmon interior. Equipped with 2 USB ports. Cup holder in each door & 1 in the armrest. My oil is changed every 3000 miles faithfully. The only service that my car required other than the oil changes, are windshield wiper blades & new tires. Other than not being able to fit large boxes in the hatchback, I have zero complaints about the 370z. Although, I did know prior to purchasing it, storage space was limited. But, again, I'd do it all over again. It's simply the hottest car on the road today especially with limo tint all round. Optical requirement. Fun to drive, but tough fitting if you're a big person in any manner. It's a great car that has incredible pick-up and handling. Seating is a little cramped if you're a tall person, which is expected. Biggest drawback is the 91 octane gas and how expensive repairs can be to insure quality parts.